Aww! 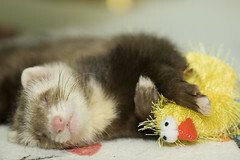 Cute wee babykins cuddling with his favorite squeaky toy. You should die from cute overload now.